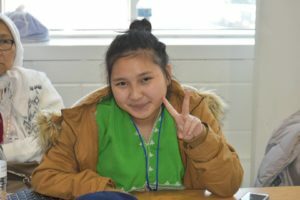 On the first day of 2019, the Karen community of Minnesota gathered at Washington Technology Magnet school to celebrate the 2758th Karen New Year! 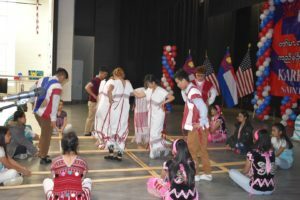 This year, KOM partnered with the Karen Community of Minnesota (KCM) and Saint Paul Public Schools to put on the event — and what an event it was! 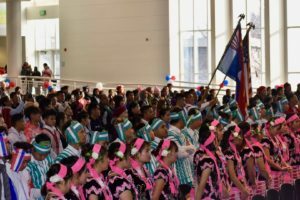 As the audience settled in their seats, festivities commenced with the flag procession, singing of the Karen and American national anthems, and opening announcements by our two Masters of Ceremony, Lah Clay and Hta Thi You Moo. Over the next two hours, the audience was treated to a number of songs, dance performances, presentations, and special speakers. We were happy to have five special speakers for the event: KCM vice chairperson Nay Htoo, Maplewood mayor Nora Slawik, Commander Dave Kva of the Maplewood Police Department, Karen Organization of America (KOA) chairperson Morrison Johnny, and our special keynote speaker, original KOM board member Eh Taw Dwe. Along with these special speakers, we also had an informative presentation on the history of the Karen New Year by Taw Klu Moo. Of course, there was also singing and dancing! 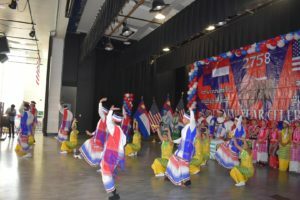 The first dance performance was a beautiful Karen Done dance by performers from the Karen Culture Organization of Minnesota (KCOM). Later, there was another Done dance performed by the talented youth from KCM, and a bamboo dance by members of the KOM youth program. 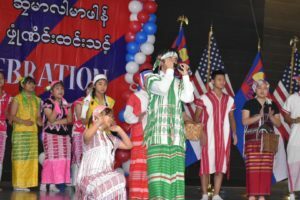 The singing portion of the event was kicked off by performances of the American and Karen national anthems by Golden Million and Htoo Khu Wah, respectively. 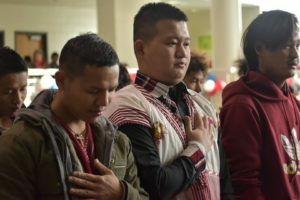 Next, the audience listened to a performance by Eh Gay and friends, a song with actions by KCM youth, and a closing song organized by KCOM. 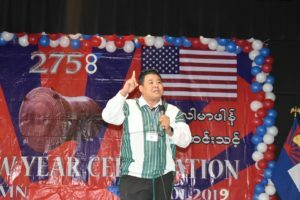 Following the main program, the festivities continued with a men’s and women’s volleyball tournament, an improv speech contest, a children’s karaoke contest, and a raffle. And, of course, lots of delicious Karen food! All around, it was another successful Karen New Year! 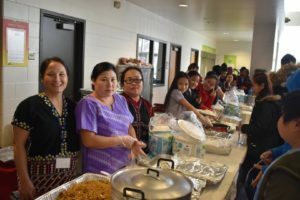 Many thanks to the event co-sponsors, KCM and Saint Paul Public Schools, as well as to KOA, KCOM, Nazareth Karen Baptist Church, and to both the Karen community and our non-Karen supporters who attended the event. 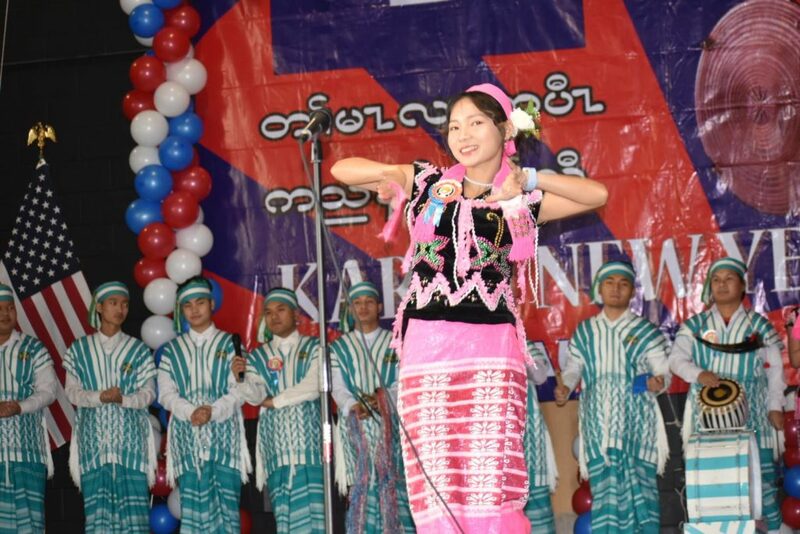 We hope to see you at events throughout the year, and then again at the 2759th Karen New Year.